You can never be too careful when it comes to online security, especially when technology forms such a critical part of your business. To that end, many online systems now employ 2-step verification technology as standard, and with Google, this offers an extra layer of security against security breaches to your email, online calendar and other associated Google Apps. If you use Google for Work, or any other Google products, you may well have already encountered the 2-step verification process. 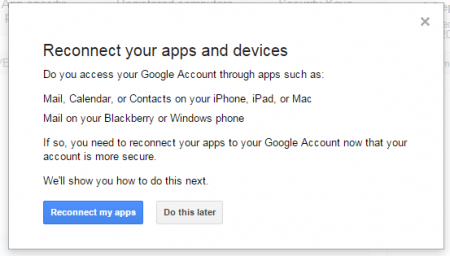 It’s fairly straightforward when accessing from a browser, however, if you are trying to access a Google product via another method (for example via your iPhone or a third party application) then you may have to apply for an app password instead. 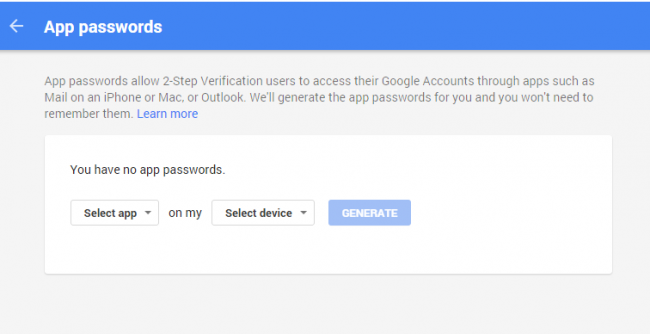 2-Step Verification adds an extra layer of security to your Google Account by sending a code to your mobile phone to verify your identity after logging into a new device with your username and password. This process dramatically reduces the possibilities of hackers breaking into your online account and stealing your personal information because it means that not only would they have to know your email address/username and password, but they would also need access to your mobile phone. 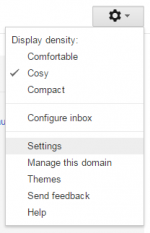 Select the ‘accounts‘ tab > Google Account settings (Found under the ‘change account settings‘ section near the top of the page) to change your password and security options and access other Google services. Select whether you would like to receive codes as a text or voice call, and then Google will then send you a code via your chosen method. Once the code arrives, enter this when prompted and click Verify and then on the next screen click Confirm and you’re all done! 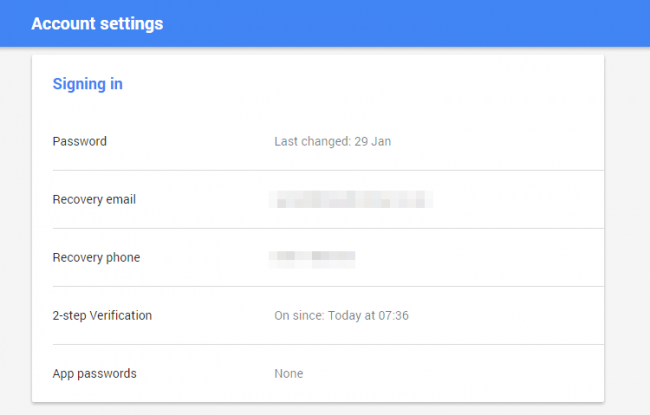 You’ll be prompted to sign into your Google account again and don’t forget if you have other connected devices to your account, such as a mobile phone or iPad, you’ll need to reconnect these now the security on your account has increased. 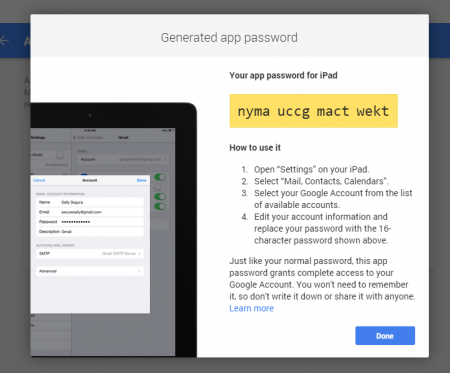 Depending on the devices you wish to connect, you may need to generate an App Password.